Young adults looking to quit smoking may consider using nicotine patches and gums to aid them in their efforts; these are smoking cessation programs which may prove fruitful. However, new research suggests that young adults who use social media may be twice as successful when compared to those using traditional methods, Science Daily reports. "These finding suggest that the creators of public health campaigns need to evaluate how they use social media channels and social networks to improve health, especially with regards to younger demographics," said lead study author Bruce Baskerville, a senior scientist at the Propel Centre for Population Health Impact at Waterloo. 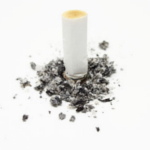 Researchers at the University of Waterloo looked at two smoking cessation programs. One was a telephone hotline for young adults, the other was a social media-based campaign called “Break It Off." The research team found that of the young adults who used Break It Off, 32 per cent of smokers had quit after 90 days of using the programs apps and web tools. Only 14 percent of those who used the telephone hotline had quit after three months in the program, according to the article. "Traditional cessation services can have limited reach and this reduced visibility lessens their impact in a digital era," said Baskerville. "Because they are such heavy users of social media, these platforms provide an alternative and successful way of reaching smokers who are less likely to relate to other cessation programs." Break It Off was launched in January 2012, a project of the Canadian Cancer Society. The program uses interactive website, social media, and a smartphone app to reach young adults, the article reports. The findings were published in Nicotine & Tobacco Research.